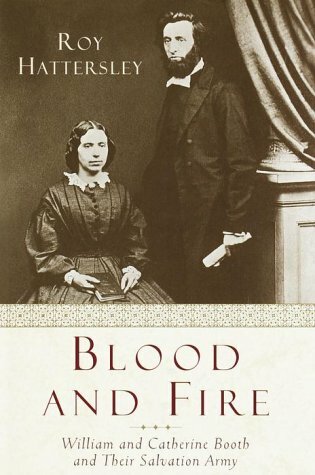 Blood and Fire is a brilliant biography of two great social and religious figures whose inheritance lives on to this day.William Booth (1829-1912) was one of the most extraordinary men of his age, a pawnbroker's clerk who would found the most successful religious movement of the nineteenth century--the Salvation Army. As a twenty-year-old, he developed the unshakable belief that God had ordained him to convert the world to Christianity.Convinced that both churches of Victorian England were ignoring the needs of the poor, he founded the East London Christian Mission.As the mission became the Salvation Army, it recruited thousands of members in battalions around the globe.Its membership is now in the hundreds of thousands in virtually every country. Catherine, his wife, was in many ways even more exceptional.A chronic invalid and mother of eight children (within ten years), she inspired the social policy that was, and remains, an essential part of the Salvation Army's success.Catherine held ideas on social equality that were ahead of her time, and she encouraged the Army to accept "women's ministry" and give female officers authority over men.Her campaign against child prostitution resulted in the age of consent being raised from thirteen to sixteen.And it was Catherine who, even while dying of cancer, urged William to develop his plans for clearing the Victorian slums.Blood and Fire is a brilliant account of a fascinating period of social history. The Booths were certainly a very interesting social couple during the mid to late 1800's.The things that they did to reform the church were noteworthy, but not always positive.However, the legacy of the Salvation Army deserves the respectful and compassionate overview.The author does wax political and/or socialist at times, but mostly sticks to the fascinating lives of William and Catherine Booth.Written with heart and soul, this book is a rewarding read.This couple should be remembered more often than they are in secular circles for the enormous contribution they made to British society, and the continuing service the Salvation Army renders to the poor and jobless.A beautiful book! William and Catherine Booth endured this kind of humanist gossip throughout their marvellous ministry. It is highly significant that no Salvation Army personel recommend this book. 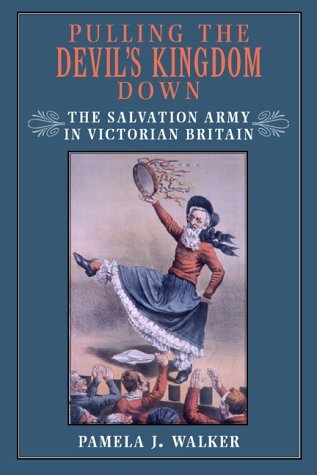 The author, being unsaved, and a senior British politician, concentrates on the radical social reforms the Booths and Salvation Army championed in Victorian Britain. Hattersley, sadly, hasn't a clue about salvation. It's akin to Scott of the Antarctic, frozen to death in his blizzard-bound tent, trying to commentate on a Barbados Test Match. Not only does this author not know his subject, but he has no idea of his subject's Subject. I suspect Roy's next book may portray Christ as a zealous Jewish Zionist with Marxist leanings. It's fluff. Dentist room reading only. Now Roy's even managed to write a book about John Wesley, characterising him as a lecherous toad. Don't waste your money. 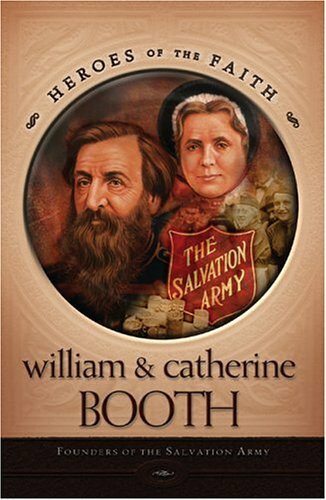 For a far better biography of William and Catherine Booth, one written by a Christian, get Trevor Yaxley's (ISBN 0764227602). And for John Wesley, read John Pollock's biography. 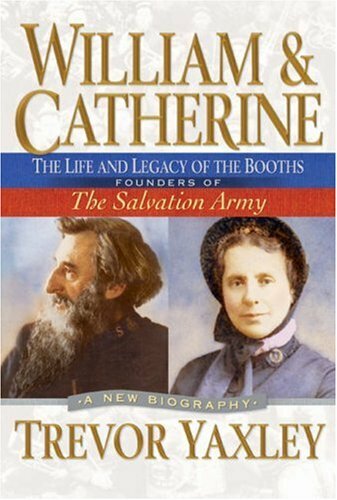 William and Catherine Booth were both remarkable. Many past biographers of one or the other have found it difficult to concentrate on their chosen subject, as the other keeps intruding. Roy Hattersley has solved that problem. He has written about the two of them. The story is engrossing. 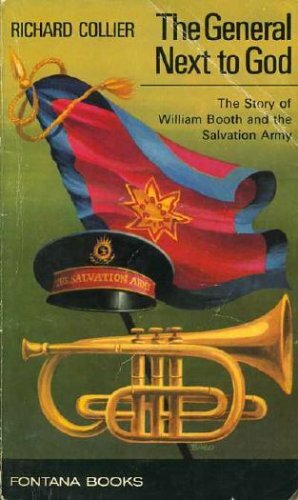 William Booth, the pawnbroker's assistant, became a Methodist minister, then an itinerant evangelist, before founding the East London Mission, which eventually became The Salvation Army. Catherine, brought up by Methodist parents, met William in London in 1852, where they fell in love and soon became engaged. It was to be three more years before they were able to marry; at one time during that period they endured over 14 months of almost unbroken separation. They formed a dynamic partnership, each complementing the other. William was an action man, a whirlwind who swept all before him. Though he was not unintelligent, he was anti-intellectual and repeatedly ignored Catherine's frequent urgings for him to study. Catherine by contrast had a powerful mind, wrote forcefully, argued convincingly, and, in spite of her shyness, became a powerful preacher. She had strongly held views about Christians abstaining from alcohol and women being allowed to preach. It is no coincidence that The Salvation Army has always taken a strong stand against alcohol, and women have been prominent in its ministry. Two of its Generals have been women. One of the fascinating aspects of the Booths' story is the motley crowd of eccentrics they attracted to their flag. Many of their early soldiers were recruited literally from the streets, and then immediately put to work to win others to Christ. Some were illiterate, some had been drunks, others prostitutes. This particular volume, however, does not quite capture that diversity. Though The Salvation Army is probably most often thought of today as an organization engaged in social work, the Booths were first and foremost evangelists. To them the social work was secondary, both in terms of emphasis and chronology. Roy Hattersley, the author of this book, was a cabinet minister in a British Labour Government, and his political background gives the book an interesting slant, particularly when he examines The Salvation Army's social work. The book does, however, have some problems. Hattersley seems out of sympathy with the Booths' religious convictions, and tends to sound rather condescending when discussing them. He also does not understand some basic Christian terms such as "sanctification", and frequently uses them inappropriately.In addition the book has too many avoidable errors, which suggests it may have been a rushed job. But it remains both very readable and enjoyable, and is a worthy tribute to two great Christians. It is highly significant that no Salvation Army personel recommend this book. 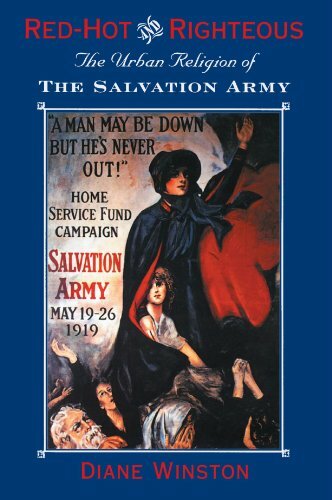 The author, being unsaved and a senior British politician, concentrates on the radical social reforms the Booths and Salvation Army championed in Victorian Britain. Hattersley, sadly,hasn't a clue about salvation. I suspect Roy's next book may portray Christ as a zealous Jewish Zionist with Marxist leanings. Well written fluff. Now Roy's managed to write a book about John Wesley characterising him as a lecherous toad. Don't waste your money. For a far better biography of William and Catherine Booth, get Trevor Yaxley's. And for John Wesley, read John Pollock's. Who really founded the Army? For those of us who have grown up in the UK Roy Hattersley's wit and intellect has long been well known.For those of us who are also Salvationists the prospect of Hattersley writing about the founders of the movement we love and serve filled our minds with a sense of forboding. We needed not worry. Hattersley writes well, every word being closely considered, and brings what is for me the best biography I have yet read about these icons of The Salvation Army.In a "no punches pulled" account, which propels one forward with a real idea of the Booths' enthusiasm and obsession, one reads about how the movement began, survived and ultimately prospered.Unlike many in-house accounts there is no glossing over of the shortcomings of these very human beings, rather we learn how, fired by what the Booths would consider Divine Inspiration, they "pressed forward to the mark of their high calling". I recommend this biography by Trevor Yaxley because of all the information, the look inside England in the mid eighteen hundreds, the easy to read can't put this book down style, and the almost unbelievable accomplishments of these two beloved people, William and Catherine Booth.There is a timeline and family tree in back of the book as well as good pictures. The epilogue, entitled The Challenge, consists of the last public address by Catherine Booth, to two thousand delegates of her "army" in London on June 21, 1888.It is remarkable, challenging, and inspired. Quoting from the first chapter is a paragraph by Paul Smith - here it is:"On April 9, 1865, Robert E. Lee met Ulysses S. Grant in the parlor of a private home at AppomattoxCourt House.He surrendered his army, bringing to an end four long years of death and devastation called the American Civil War.In the same year, a thirty six year old Englishman by the name of William Booth declared war on the powers of darness by founding The Salvation Army." The multitudes of people living in poverty and without dignity inspired the Booths to declare this spiritual War and with great love and compassion, they gave hope to the helpless by offering faith in God (salvation thru Christ) food (soup kitchens) clothing, and employment, and a purpose (serving in the Army to help others as they were helped and lifted up). The story of the Booths is all about a couple in love and a passion for helping desperate destitute people and giving spiritual and physical help - so innovative was their work, that what began in England gradually spread throughout the world and they also raised many children who continued in the work of helping the poor.Today, the Salvation Army is first to appear when disasters occur anywhere in the world - want to join! I loved the book and you will too.I never even imagined what this "Army" was all about until I came across this biography. For many people, The Salvation Army is most visible between Thanksgiving and Christmas. That's when its officers, soldiers and volunteers, in the ubiquitous Kettle Campaign, make music and collect money for good works.Few realize, however, that the Army is much, much more than this one effort and is in fact a powerhouse of an organization. None other than Peter Drucker called it"the most effective organization in the U.S."Not the most effective nonprofit, but "the most effective organization. "Quite a compliment from the world's most preeminent management thinker, especially when you consider that he is comparing The Salvation Army to world-class corporations like General Electric, IBM and Johnson &Johnson. * Clarity of mission: What you can learn from the Army's laser-like focus of evaluating everything it does in terms of its mission of preaching the gospel and meeting human needs without discrimination. * Ability to innovate: How The Salvation Army's investment in people gets incredible returns and why it as much venture capitalist as charity. * Measurable results: Learn The Army's unique ways of setting, monitoring and celebrating the achievement of measurable goals so you, too, can say, "look, we promised we would do this and we delivered." * Dedication: How the Army accomplishes so much with such a small cadre of officers. * Putting Money to Maximum Use: What you can learn from The Army's bare skeleton of a national organization in terms of making the most of your resources and making all of your operations self-sufficient. By demonstrating the power of a sense of purpose combined with organizational effectiveness, this remarkable book has something essential to say to all executives, entrepreneurs, managers, and anyone with the ambition to bring people together to reach a goal. Great book about a great organization! I am not a religious person, so the "Whys" of the SA weren't of great interest to me. However, the "Hows" and "Whats" are: this book is a compelling account of how the SA effectively converts almost every penny it receives into direct, real benefits for the needy and downtrodden. ANY organization could learn much from the SA (and this book) on how to deliver high-quality, low-overhead customer service to its target audience. If government agencies, other churches, and or even most companies, were run even half as well as the SA, the world would indeed be a much, much better place! 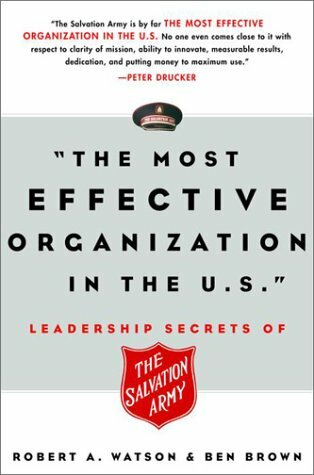 Peter Drucker, a management guru if there ever was one, once declared that "the Salvation Army is by far the most effective organization in the U.S." And he added: "No one even comes close to it with respect to clarity of mission, ability to innovate, measurable results, dedication, and putting money to maximum use." 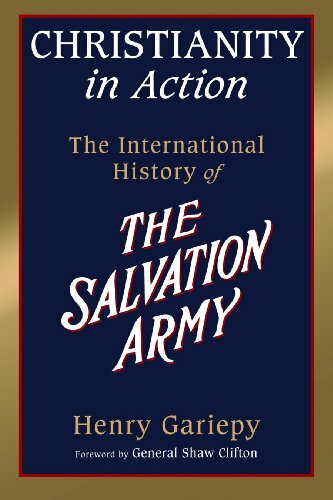 As Robert A. Watson, the retired National Commander of The Salvation Army U.S.A., comments in the introduction of this book, "It would never occur to us to make that claim for ourselves. It is not our style." Officers who wear the uniform of the Salvation Army cultivate a modest demeanor, and they don't like to brag about themselves. But on second thought, Mr. Watson and his coauthor do like to brag about their organization's goals and achievements: "We are out to save the world." They are proud of the Army's unblemished track record of dedication and performance. And they want their book to be about "the meaning of life", possibly "one of the most important book you'll ever read." This last claim seems a bit overstretched--especially from an institution that claims the Holy Bible as the sole authority--, but The Most Effective Organization is probably one of the best management books I have ever read--and this includes the essays of Peter Drucker, which I often find repetitive and merely stating the obvious. Here readers won't find "the eight habits of successful spiritual enterprises" or "the eight-fold path to organizational happiness." There aren't even eight equally weighted principles. As the authors underscore, there is really one Big Idea: "Engage the Spirit". Everything stems from this basic imperative. But this being a management book, there is indeed a list of eight injunctions or bottom-line principles connected with the Big Idea. Each chapter therefore expands on a simple message--"Embody the Brand", "Lead by Listening", etc.--illustrated through excerpts from the Salvation Army's history, anecdotes from Mr. Watson's own experience as an officer, inspirational stories from prominent business leaders, short quotes from some of the most influential management scholars, and lessons drawn from the world of professional sport and entertainment. Being the chief officer of the U.S. organization gave the main author access to many chief executives and chairpersons of large corporations, who devoted time and energy sitting on the Army's National Advisory Board and helping it shape its strategic directions. The authors also took the best they could from management books, distillating their teachings into key messages and practical examples. What makes The Salvation Army different is its connection with the transcendental. "Our advantage--and the advantage other organizations can acquire--is a shared conviction that our purpose is sacred. We're together in the belief that our organization exists only to help people realign themselves with God and to serve one another. And we're all in agreement that each of our programs must be measured against that purpose." The Army's mission is to preach the gospel of Jesus Christ and to serve people in need without discrimination. "When we say we are here to save and to serve, we mean that as our promise, as what we intend to be held accountable for. All of our programs--our products--grow from that sense of mission, and we measure their success against it." "From the beginning, because of our double mission, The Salvation Army has had to be doubly accountable. 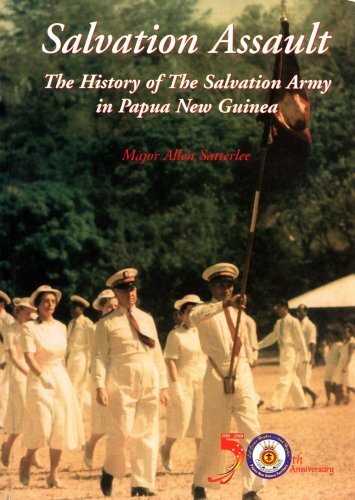 To those who may not share Salvationists' religious faith, the Army must demonstrate that, in putting its spiritual purpose at the forefront, it actually strengthens attention to clients' total welfare--in body, mind and soul. To those driven by religious faith, the Army must show that it's not distracted by social service from its evangelical purpose. The Army must always prove its promise to maintain "heart to God, hand to man."" The Salvation Army has no qualms about being a religious organization. "Yes, we are an evangelical church. Our officers are ordained ministers. Our twofold mission is to serve others and to preach the gospel of Jesus Christ. And we cannot be who we are if we deny our religious orientation." So they are ready to draw a line and to refuse government subsidies if they come with too many strings attached that would make them lose their identity. As Peter Drucker already noted, ""Government as a paymaster is a very corrupting paymaster because they think that because they're paying the piper, they can call the tunes." The one thing that I found missing in this book is how the twin missions of evangelical preaching and social service connect to each other in the name of Jesus Christ. The Scriptures has many messages to offer to managers, and it can be a great source of inspiration for people dealing with business issues. And yet there are only two or three quotes from the Bible, brought forth in the introduction and summing up the Salvation Army's theology of service. One is "Go ye therefore, and teach all nations, baptizing them in the name of the Father, and of the Son, and of the Holy Ghost." (Matthew 28:19, KJV). The other is from the parable of the Good Samaritan: "Inasmuch as ye have done it unto one of the least of these my brethren, ye have done it unto me." (Matthew 25:40, KJV). These are words to remember. mission, ability to innovate, measurable results, dedication, and putting money to maximum use." Peter Drucker, preeminent management thinker. In my consulting practice--and in my management workshops--I sometimes hear the protest, "But you don't understand! We're just a small ministry. We couldn't possibly implement the best practices of those much larger organizations." Hopefully, my response is gracious--but direct. "Is God leading you to be small for the next 10 years? Is your mission about reaching and serving more people, or less people? Do you need a workshop on how to stay small or how to shrink further? Probably not! So what should you do?" I recommend that organizations create a rolling three-year strategic plan. Build an annual planning cycle that ruthlessly evaluates the last year and then adds one more year onto the rolling three-year forecast. And...face the growth question with courage, time-on-your-knees and outside wisdom. Part of that outside wisdom is looking at the big boys. How did they grow? How do they innovate? How do they build in capacity and sustainability? One excellent and very unique model is The Salvation Army, the second largest nonprofit charity in the United States (according to the annual Philanthropy 400 list published by the "Chronicle of Philanthropy"). According to their 2009 annual report (now published only online along with a video report), they spent $3.05 billion serving people in 2008. Wow. They are evangelical Christian in beliefs--yet coalesce wider public involvement and support in meeting human needs. Their crystal clear mission statement (on their website home page) is unequivocal: "The Salvation Army, an international movement, is an evangelical part of the universal Christian Church. Its message is based on the Bible. Its ministry is motivated by the love of God. Its mission is to preach the gospel of Jesus Christ and to meet human needs in His name without discrimination." Peter Drucker, the father of modern management, called The Salvation Army "the most effective organization in the U.S." He added, "No one even comes close to it with respect to clarity of mission, ability to innovate, measurable results, dedication, and putting money to maximum use." 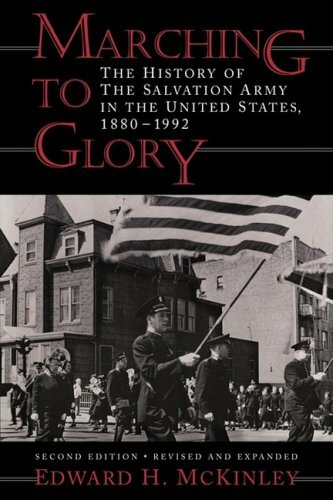 Co-author Robert A. Watson served 44 years as a commissioned officer in The Salvation Army, four of those as the national commander, the highest-ranking officer in the U.S.This is no puff piece--it's an insider's insight on a remarkable organization and very much worth the read. He writes, "To grow from a start-up to a much larger enterprise, to thrive over the long term without losing either mission focus or creative energy, requires skills that aren't nearly so apparent or crucial when an organization launches. In fact they may be skills that are quite the opposite of those required to get off the ground." Stay small, shrink or grow? This book will help you grow. An autobiographical novel by turn naïve and cunning, funny and moving, this most recent work by Moroccan expatriate Abdellah Taïa is a major addition to the new French literature emerging from the North African Arabic diaspora. Salvation Army is a coming-of-age novel that tells the story of Taïa's life with complete disclosure—from a childhood bound by family order and latent (homo)sexual tensions in the poor city of Salé, through a sexual awakening in Tangier charged by the young writer's attraction to his eldest brother, to a disappointing arrival in the Western world to study in Geneva in adulthood. In so doing, Salvation Army manages to burn through the author's first-person singularity to embody the complex mélange of fear and desire projected by Arabs on Western culture. Recently hailed by his native country's press as "the first Moroccan to have the courage to publicly assert his difference," Taïa, through his calmly transgressive work, has "outed" himself as "the only gay man" in a country whose theocratic law still declares homosexuality a crime. The persistence of prejudices on all sides of the Mediterranean and Atlantic makes the translation of Taïa's work both a literary and political event. The arrival of Salvation Army (published in French in 2006) in English will be welcomed by an American audience already familiar with a growing cadre of talented Arab writers working in French (including Muhammad Dib, Assia Djebar, Tahar Ben Jelloun, Abdelkebir Khatibi, and Kātib Yāsīn). I have just read about this author in a magazine. 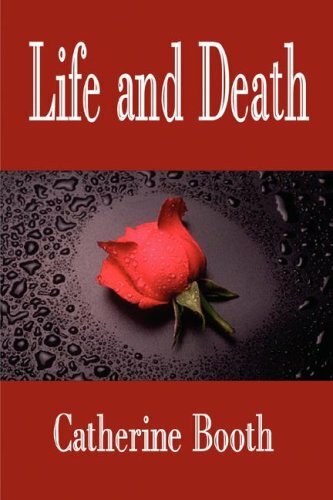 The writer`s review was amazing and that encouraged me to buy it.I realize during the reading that is was a wonderful story, very wellnarrated. It made me feel in his own skin, and felt all his feelings during the process off coming out.Its a book to read in one week. 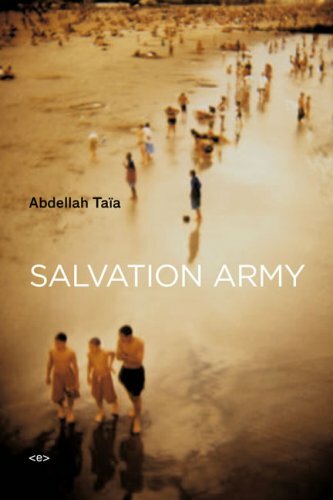 The best parts of Abdellah Taia's "Salvation Army" story are largely about the challenges of being gay in a Muslim country (albeit a relatively open one--Morocco); then finding a kind of sexual liberation in Europe; finally finding another kind of isolation in being a third worlder in a first world country. Taia's autobiographical protagonist is by stages idealistic, romantic, naive and disillusioned. Not surprising as he is following his heart in Morocco into forbidden territory, which is both dangerous and ultimately futile.Age brings hope and escape to another culture where being gay is not the offense, but being foreign is.There is a happy outcome to this particular tale (implied at least) because Abdellah Taia did become a successful literary figure in France and a kind of cult figure in Morocco, where his books have been published. This is an engaging contribution to the more general story of the modern immigrant, but with the special circumstances of an alternative sexual identity.A 3+ on the Amazon rating scale.A more extensive novel on this subject in a more mature voice is Tahar Ben Jelloun's "Leaving Tangier". It is one of a kind.... I enjoyed every part of it. It was a little difficult to follow at parts but kept me interested at all times. As a person who generally loves the memoir genre, I was impressed at how skilled Taia shaped thoughts and stories about his life. At times he was verbose giving every last detail and at other times he leaves the reader without all of the information. Taia artfully sculpts part of his life into a cutting edge novel that spans two theatres--Morroco and Switzerland--and the conflicts deep inside Taia. Taia should be lauded for the authenticity provided in his narrative told through raw stories. 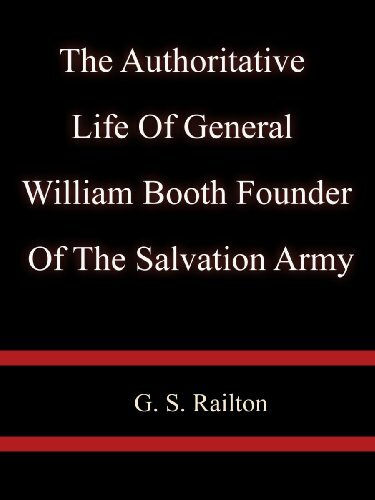 This is a well written account of the incredibly courageous, tenacious General William Booth, founder of the Salvation Army. C. T. Studd is quoted as saying ""Some want to live within the sound of church or chapel bell; I want to run a rescue shop within a yard of hell." That sums up the life of Booth. This story is inspiring, humbling and extraordinarily interesting. Booth put his faith into hands on action during a period of great social change. In doing so he inspired an army that continues his legacy today. Those people in uniforms who ring bells and raise money for the poor during the holiday season belong to a religious movement that in 1865 combined early feminism, street preaching, holiness theology, and intentionally outrageous singing into what soon became the Salvation Army. In Pulling the Devil's Kingdom Down, Pamela Walker emphasizes how thoroughly the Army entered into nineteenth-century urban life. She follows the movement from its Methodist roots and East London origins through its struggles with the established denominations of England, problems with the law and the media, and public manifestations that included street brawls with working-class toughs. Onward Christian Soldiers . . . I couldn't wait to read Bette Dowdell's memoir.I too grew up in the Salvation Army.And yes, it's all there.Frequent moves, strange places to live, low salary (when there is any), the heavy connection with the British, but the good times too.It is indeed the Army, our very own Salvation Army and we love it despite all. The only thing I missed was hearing a bit more about the participation of the children in so many actual services, but I think Dowdell's era was more recent than mine though she doesn't give dates. I wanted to hear about the kids musical instruments and playing on street corners.Yes, even in the Army politics can't be avoided. The Salvation Army - few have put thought into it beyond witnessing the man dressed as Santa ringing a bell. "On We March: A Memoir of Growing Up in the Salvation Army" is Bette Dowdell's story of growing up under parents strongly involved in the organization. Painting a bright picture of the company, it draws upon the strong faith Bette gained growing up in life. Not afraid to laugh a little, "On We March" is a charming story of growing up in something that's always been there, but rarely thought about. Had she told only the good things, this memoir of growing up in the Salvation Army would not be near as powerful. The tale revolves around her father, Charles Dowdell, who she reveres as one beaming tower of a man. One would think that a church hierarchy would be exempt from the politics played out continually in any corporate structure. The opposite is true; it's worse here. Sometimes the family found themselves without food or transportation, assigned to decrepit quarters only a hallway from the transient population, and protected only by the dogs her mother meticulously trained. Undaunted and unmoved, Major Dowdell, uncomplaining, soldiered on, eventually right on out of the Salvation Army. It's inspiring that after changing schools every year or two and growing up on donated clothes and food, this daughter pens a heartfelt thank you. What a story! I have always loved the Salvation Army for the wonderful contributions their soldiers make for the Lord. A special part of Christmas for me is listening for the bells ringing to encourage people to donate to the kettles and heading over to put some money in. After reading On We March, I've added a new pleasure . . . asking the bell ringers about how they came to work for the Salvation Army and their experiences. It has been a great blessing. 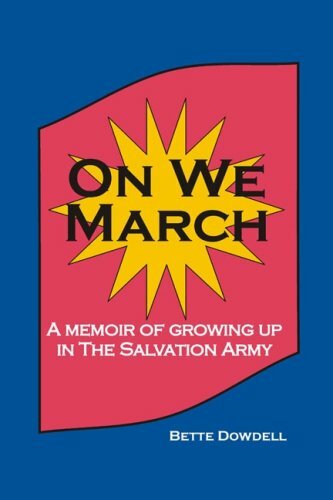 For those who don't share my love of Salvation Army bell ringers, I encourage you to read On We March which portrays a child's perspective on what it is like to grow up in the Salvation Army. Ms. Bette Dowdell brings great verve and humor to her story telling. The Dowdells are not people who are easily discouraged. I was fascinated to learn that the Salvation Army families often go without salaries so that poor people can be served. This is certainly in the best sense of following the Lord's direction to "follow Me" and not worrying about how one's own needs will be served. I also thought that no one moved around more often than members of the U.S. Armed Services. The Salvation Army families seem to move three times for every move that the Armed Services make. It's a hard but rewarding life that brings the family closer to the Lord in some very unexpected ways. I have rarely read a memoir that expressed more love for a father than Ms. Dowdell's depiction of her father, who seems to have been as close as people on earth ever get to acting like angels. Ms. Dowdell hopes you will want to give more money to the Salvation Army after reading this book (although she isn't currently part of that fine organization). Well, she succeeded with me. I doubled my contributions this year. May God bless the Salvation Army and the wonderful families like the Dowdells who serve in it. On We March- A delightful read for me! In this engrossing study of religion, urban life, and commercial culture, Diane Winston shows how a (self-styled "red-hot") militant Protestant mission established a beachhead in the modern city. When The Salvation Army, a British evangelical movement, landed in New York in 1880, local citizens called its eye-catching advertisements "vulgar" and dubbed its brass bands, female preachers, and overheated services "sensationalist." Yet a little more than a century later, this ragtag missionary movement had evolved into the nation's largest charitable fund-raiser--the very exemplar of America's most cherished values of social service and religious commitment. Winston illustrates how the Army borrowed the forms and idioms of popular entertainments, commercial emporiums, and master marketers to deliver its message. In contrast to histories that relegate religion to the sidelines of urban society, her book shows that Salvationists were at the center of debates about social services for the urban poor, the changing position of women, and the evolution of a consumer culture. She also describes Salvationist influence on contemporary life--from the public's post-World War I (and ongoing) love affair with the doughnut to the Salvationist young woman's career as a Hollywood icon to the institutionalization of religious ideals into nonsectarian social programs. Winston's vivid account of a street savvy religious mission transformed over the decades makes adroit use of performance theory and material culture studies to create an evocative portrait of a beloved yet little understood religious movement. Her book provides striking evidence that, counter to conventional wisdom, religion was among the seminal social forces that shaped modern, urban America--and, in the process, found new expression for its own ideals. The first Salvation Army kettle, complete with attendantbell-ringer, appeared on the streets of San Francisco in 1891. Theslogan, "Fill the Pot for the Poor--Free Dinner on Christmas Day," haschanged, but the practice hasn't. Starting with the Army's arrival inthe United States in 1880 and describing its activities through WorldWar II, DianeWinston's Red-Hot and Righteous follows the Army'smissions, methods, and spectacular growth. 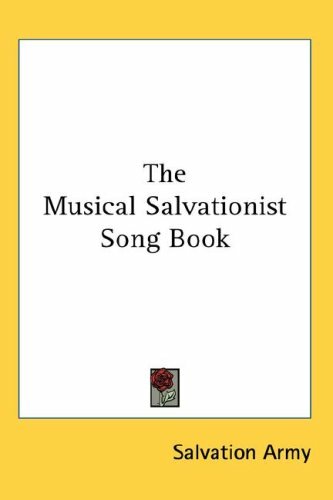 I'm delighted with Winston's work.Currently I'm writing a novel in which the Salvation Army is prominent and I needed to be sure I had some early facts verified.Winston gives me the facts I need and has confirmed some of my own material.I particularly appreciated her emphasis on performances and the Army's proclamation of all space as God's own. Her explanation of the secularization of religion, the bringing of religion out of the clouds and into everyday life, provides a whole new perspective on religious belief. A time when the religious experience was fun. Required for a history class years ago. One of the better social histories out there. Gracefully written, but lacking in focus. Is this book an organizational history of the Salvation Army?Is it about the Army as an urban religious phenomenon?Is it about the Army's use of the methods of popular entertainment in order to draw attention, converts, and public support?Is it about the power of women within the Salvation Army?Is it a discussion of how the public perception of the Army (and the women in it)changed between 1880 and 1940? "Red Hot and Righteous" tries to be all of these and more, but unfortunately it doesn't work.As a popular history, this is pleasant enough reading, but as a scholarly work it is maddeningly diffuse.Winston's thesis is ill-defined, she fails to address the existing literature on the Salvation Army, and she has no evident theoretical approach.While she addresses the power women had within the Salvation Army, as a feminist history "Red Hot and Righteous" lacks teeth because Winston turns her focus elsewhere rather than fully developing her discussion of women's roles. Winston also uses a very limited range of sources.When presenting the Army's side of the story she leans very heavily on the 'American War Cry'--the Army's own paper.The 'AWC' was sold to the general public to raise funds, and it was thus intended to present the Army and its activities in the best possible light.For an outsider's view of the Salvation Army she relies overwhelmingly on one newspaper--the 'New York Times. 'What about ethnic newspapers?What about papers that found their audience primarily among the poor and working class?What did the people the Army aimed its evangelical and charitable activities at think of these predominantly middle-class do-gooders? 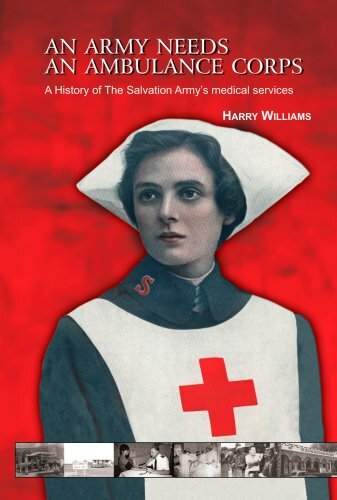 Winston writes very well, and she gives the Salvation Army the respectful treatment it deserves.But as an academic work, "Red Hot and Righteous" fails to gel.By narrowing her argument and focusing on a specific issue--women's roles and leadership within the Army, the use of popular culture as an evangelical tool, changing depictions of Salvation Army women in books and popular entertainment--and expanding the types of sources used, Winston could have broken new ground.Unfortunately, she keeps stabbing her spade with too little force in too many different places, and as a result she only raises a bit of dust.While I would still recommend this book for a general readership, as a scholar I found it unfocused and ultimately unsatisfying. 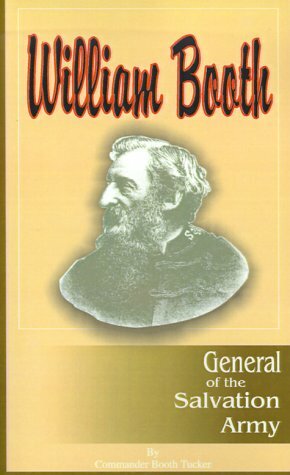 William Booth was born in Nottingham, England, on April 10, 1829, and was left, at thirteen, the only son of a widowed and impoverished mother. His father had been one of those builders of houses who so rapidly rose in those days to wealth, but who, largely employing borrowed capital, often found themselves in any time of general scarcity reduced to poverty. "I had a good mother. So good she has ever appeared to me that I have often said that all I knew of her life seemed a striking contradiction of the doctrine of human depravity. In my youth I fully accepted that doctrine, and I do not deny it now; but my patient, self-sacrificing mother always appeared to be an exception to the rule. "I loved my mother. From infancy to manhood I lived in her. Home was not home to me without her. I do not remember any single act of wilful disobedience to her wishes. When my father died I was so passionately attached to my mother that I can recollect that, deeply though I felt his loss, my grief was all but forbidden by the thought that it was not my mother who had been taken from me. And yet one of the regrets that has followed me to the present hour is that I did not sufficiently value the treasure while I possessed it, and that I did not with sufficient tenderness and assiduity at the time, attempt the impossible task of repaying the immeasurable debt I owed to that mother's love. "She was certainly one of the most unselfish beings it has been my lot to come into contact with. 'Never mind me' was descriptive of her whole life at every time, in every place, and under every circumstance. To make others happy was the end of all her thoughts and aims with regard not only to her children but to her domestics, and indeed to all who came within her influence. To remove misery was her delight. No beggar went empty-handed from her door. The sorrows of any poor wretch were certain of her commiseration, and of a helping hand in their removal, so far as she had ability. The children of misfortune were sure of her pity, and the children of misconduct she pitied almost the more, because, for one reason, they were the cause of sorrow to those who had reason to mourn on their account. Wow. This is a great book. I was pleased at the way this book chronicles the lives of William and Catherine Booth. What a pair! I mean this man had a very hard life and basically was an indentured servant during his apprenticeship.They both new the meaning of self sacrifice and being our brother's keeper. What an awesome couple. Definitely read this one. It will give you a new perspective on your own life.